Do you want to grow your own organic food with a homemade organic fertilizer? 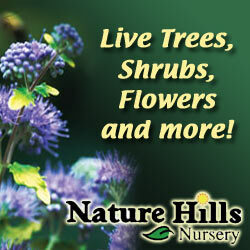 You'll be glad to know there are ways to fertilize your garden with no chemicals and get great results! The healthiest foods are those grown organically, with an organic fertilizer, along with organic weed and pest control. Here are four ways to fertilize organically in the home garden. The most familiar cheap organic fertilizer in farm country is manure, usually from cows or sheep, occasionally from horses. Most any farm manure can be a good fertilizer, with one drawback. It needs to be aged before you can use it in an active garden. When it's fresh, it's too 'hot' and will burn the roots of any plant it comes into contact with. Aging is accomplished by just letting it sit for a season, or better yet, tilling it into the garden in the fall. Just spread it a couple inches thick and till or dig it in. It will have the whole winter to integrate with the garden soil, and you will see a noticeable difference in your soil the next spring. Adding your fall leaves, all chopped up, can make an even bigger impact. Manure can be acquired from farms and ranches, usually just for the asking and hauling. It can also be purchased by the bag at nurseries and garden centers, or anywhere that sells plants should have it. If you don't want to use large livestock manure, there is an alternative. Let your pets do the fertilizing! While you may not have room for a cow, you can probably fit in a rabbit cage or two. Rabbits are like furry little compost machines. Their droppings (pellets) are ready to use right away, without the need to age. You can collect them with trays under cages and then scatter in the garden. They can be tilled into a spring garden or added to the compost bin to aid in composting. Rabbits in portable cages can be moved to a different spot in the garden every day or two for the easiest method of adding the pellets to the garden. Compost is a good cheap organic fertilizer, along with its many other benefits. Compost is a blend of manure, soil, and plant matter, melded and aged to resemble the rich dirt on the floor of an old forest. You can make compost at home, in a loose pile or contained in a bin. Try to make it close to the garden so it's easier to use when it's ready. Just layer the different ingredients, whatever you have, water sparingly, and toss or turn it every week or two. The microbes in the dirt or manure help break down the plant matter. When the compost is finished, the ingredients are mixed and look like rich soil, ready to either till into the garden or just use as mulch. You can gently work it into the first couple inches of dirt around the plants to get the nutrients to the roots faster. You can even make a passable compost just by layering your table scraps with a thin coating of soil, over and over. Let it sit for a couple months and it should be ready. If you want to speed up the process, try using compost tumblers. Ingredients for your compost are easy to find. Organic matter can be kitchen scraps, fall leaves, lawn and garden clippings, even the weeds you pull as long as there are no seeds. For table scraps, use all you have of organic matter; peelings from potatoes, carrots, apples, etc. Use carrot and celery tops, the outside layers of cabbage and onions, and the leftover cooked veggies no one will eat. Crush up your eggshells and throw them in too. Just the shells, no eggs. Used coffee grounds are a good addition, but not too many. Do not use anything with meat or noticeable grease, as this will cause your compost to spoil. Use just enough soil to lightly cover a thin layer of plant matter. While not necessary, a layer of manure of some sort every few layers will help activate the compost and make it ready to use sooner. You can get your own free fish emulsion from cleaning out your pond or aquarium. Now that's cheap organic fertilizer! Just water your plants with the water and the nutrients sink right in with it. Houseplants love this too! Whatever method you use, you will be sure there are no chemicals in your lovely organic fruits and vegetables!